Conventionally, a deep neural network (DNN) is trained to predict probabilities of class labels. Recently, DNN has shown great success in many pattern recognition tasks such as speech recognition and handwritten digit recognition. To take advantage of its great learning power, we propose and build an on-line handwriting recognition system for French strings, which applies a DNN for non-linear feature transformation before training the character models. When a DNN is predicting class labels, its hidden layer outputs can be regarded as a better representation of the original features extracted from handwriting trajectory data. 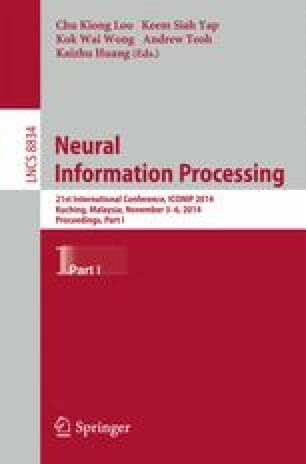 In this paper, we demonstrate that the proposed system can achieve a relative character error rate (CER) reduction of about 28.5% when being compared to a conventional system without feature transformation. We also notice that the CER could be further reduced by 3.3% relatively when the transformed features are used along with the original features.